About - Blackwell Furniture Co.
Blackwell Furniture Company was established in 1945 in a single, three-story building. ​and has grown a reputable team that stands ready to meet your home's specific needs. 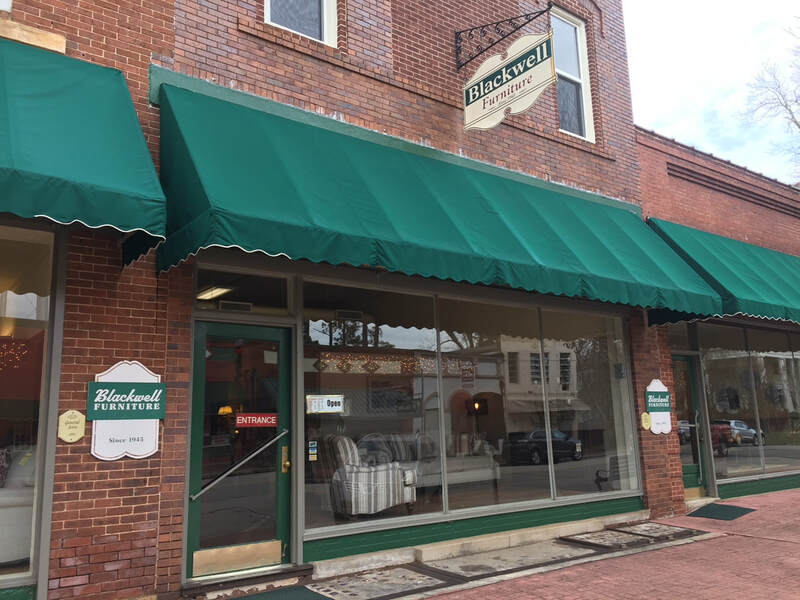 We invite you to come in for a unique shopping experience, or Call Martha, Doug, or Sammy today at (706) 485-2261 to speak with a knowledgeable Blackwell Furniture representative. The Adelle Theatre opened on November 6, 1914 and featured silent movies and traveling shows of large casts. In 1923, The Adelle ceased operation as a theatre. Since then, the building has been restored to its original magnificence with little alteration. The balcony retains its slanted floor, and the metal-lined projection room (for fire prevention) is still intact along with the ticket window. The Old City Hall was a multi-purpose building that housed the jail, city clerks office, and fire department. The fire truck was actually parked inside the building, which is evident by the sloping sidewalk/driveway. Initially used as a buggy assembly facility, the Hunt Rainey Building still utilizes its original elevator. The basement of the building consists of a unique brick floor (laid on sides) that extends under the sidewalk and an iron door with rosey quartz panels to allow light into the room. 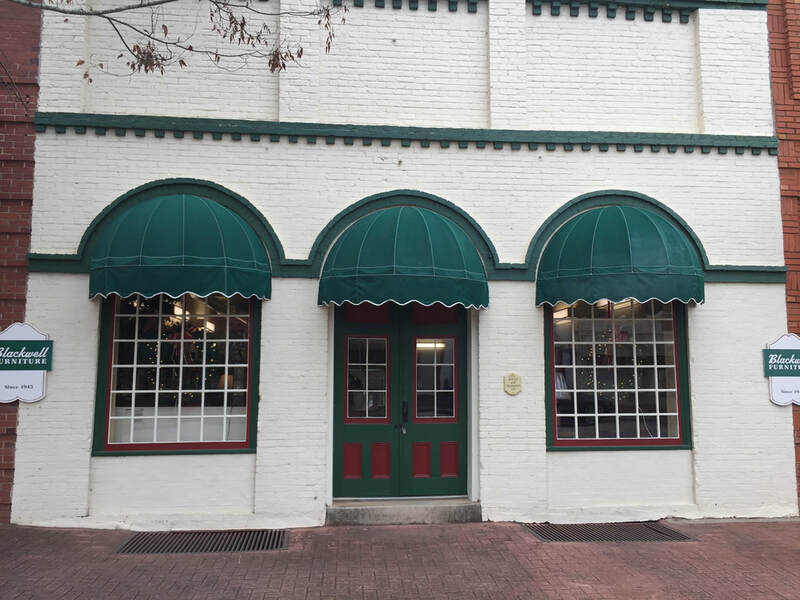 Built in 1893, The Rising Star Lodge features leaded glass in the foyer windows, decorated columns, and several original decorative artworks on the walls (the "Potty" is a must-see). The 4th oldest Georgia Masonic Lodge met here from 1893 until 2008. 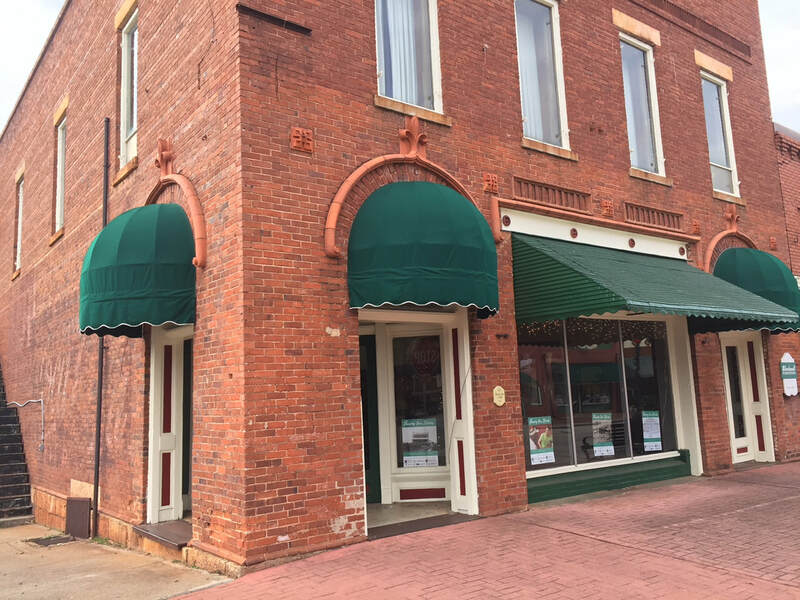 As the oldest building in Eatonton, The Express Office has all its original heart pine floors, doors, and mantels. The downstairs area was originally used as a stage coach stop. The upstairs features a full length mural on the plaster walls and also retains the original peephole door used by an all male secret society.